Tiara Wicks (Carson, CA) received the $5,000 Allman Family Business Development, Marketing, and Sales Scholarship. Tiara will be entering her second year at Carnegie-Mellon University (CMU) studying for a B.S. in Business Administration. 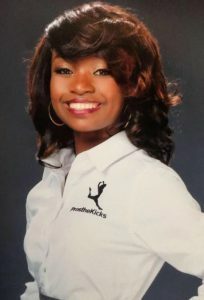 As a high-school student, Tiara developed a plan for a startup online business called ProstheKicks to provide amputees with dance and self-confidence videos. The project plan was recognized by the South Bay (Southern California) Entrepreneurial Center. She has now partnered with the University of Pittsburgh Medical Center’s amputee support group to begin piloting the program. In her first year at CMU, she was active in the Emerging Leaders program working with gun violence victims in the Pittsburgh area. Tiara is active in the National Society of Black Engineers (NSBE) and also has volunteered with 100 Black Men to tutor middle and high school students. The Allman family Business Development, Marketing, and Sales Scholarship is awarded to a student enrolled in an undergraduate or graduate business management or other business-related academic program. 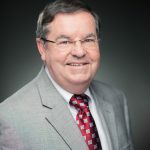 Established by Don and Cathy Allman, the Scholarship recognizes the important links between sales, marketing, and business development that have been a hallmark of the family’s experience in the OOH industry. Elizabeth Stewart (Chandler, AZ) received the $4,500 Ruth Segal Scholarship. 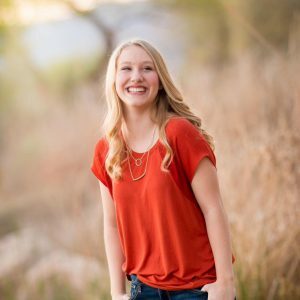 Elizabeth will be entering her freshman year at Brigham Young University and studying for a degree in Experience Design and Management. 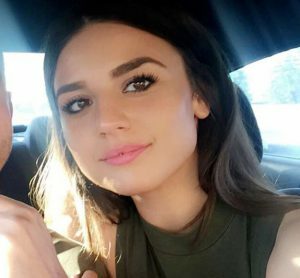 She is the daughter of Adam Stewart, who works as a senior vice president at Clear Channel Outdoor. Elizabeth is a musician and has been active in community theatre. She has received awards for piano competition and singing. She is also an award-winning gymnast. Elizabeth volunteers at community food banks, has organized fundraisers to help feed families in war-torn Syria, and this summer traveled to Mozambique to help build a new school. 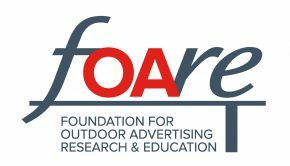 The Ruth Segal Scholarship was established to recognize the work of Ruth Segal, a long-time employee of OAAA, who worked tirelessly to educate federal and state policy makers about the OOH advertising industry. Lilia Sweet King (Tallahassee, FL) received the $4,000 Vern and Elaine Clark Outdoor Advertising Industry “Champion” Scholarship. Lilia and her family are close friends with Jed Renfroe, president of Renfroe Outdoor Advertising. 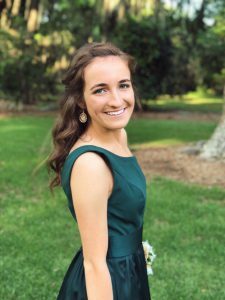 She will be entering her freshman year at the University of Mississippi, where she is interested in studying the psychology behind marketing and how it influences consumer choices. Lilia has a distinguished record of service in her community while achieving honor roll status at school. She is a recipient of the Gold and Silver Awards for the Girl Scouts of the Florida Panhandle. She also was named the VFW State of Florida Scout of the Year. She has been active in the Student Government Association, including serving as chair of the Faculty and Staff Committee to foster positive faculty/staff/student relations. Lilia also has been active in the School Service Committee, which assists maintenance staff at the school. She also played on her high school varsity golf team. Following the Parkland High School shooting, Lilia organized and event for students from all 12 area high schools in Tallahassee to come together and discuss community issues. The Vern and Elaine Clark Outdoor Advertising Industry “Champion” Scholarship is awarded to a student – with a specific connection to OOH – enrolled in an undergraduate or graduate academic program who demonstrates through their academic life, community activities, and career goals the skills and talents that made Vern Clark, a long-time industry champion, successful in his efforts. Sandra Zivadinovic (Farmington Hills, MI) received the $3,000 Creative Arts/Design Scholarship. Currently, Sandra works as a graphic designer at OTUFRONT Media in Detroit, MI, and is working to obtain a design degree from Wayne State University. Her colleagues describe her as the “ultimate team player” who “pushes her contemporaries to go beyond the expected” and achieve successful outcomes. Sandra volunteers time to help immigrant families assimilate to life in America, helping them to read and write English. 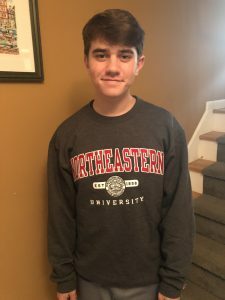 Jordan Ament (Seaford, New York) is entering his freshman year at Northeastern University. Jordan is the son of Tracey Ament, a sales administrator, at OUTFRONT Media, and Richard Ament, the senior vice president at OUTFRONT Media. Jordan was valedictorian at Seaford High School. Jordan was active in the marching band and a founding member of the Clarinet Chamber Group. Aidan Dugan, who currently resides in Tel Aviv, Israel, is the son of William Dugan, the vice president and general manager of Park Outdoor in Syracuse, NY. 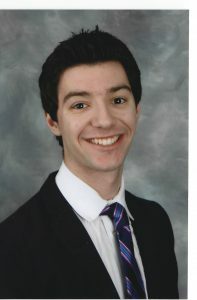 Aidan completed his undergraduate work at Georgetown University and is now studying for an MBA at Tel Aviv University. Aidan is also working as a business development manager for a startup company that offers valuation analysis for private companies. 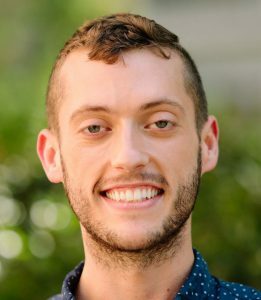 Aidan volunteers for a vegan cheese startup and an urban roof farm whose produce is used for a soup kitchen in an underprivileged area of Tel Aviv. He also has been active working on Sudanese refugee issues. “I am attending the MBA program at Tel Aviv University to gain a more quantitative background and to learn about entrepreneurship and innovation in a startup nation,” he said. Reilly Jamison (Jeannette, PA) is entering her senior year at Boston University seeking a B.S. in Business Administration and Management. She is the daughter of John R. Jamison, a manager at Penneco Outdoor. Reilly has excelled in the classroom achieving Dean’s List status. She spent five months studying in Madrid, where she gained experience working in an international environment in multiple languages. 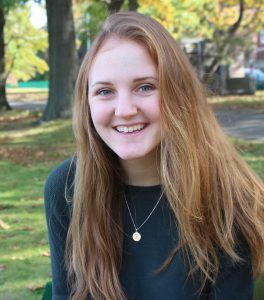 Reilly has volunteered with Catholic Charities of Pittsburgh to help refugee families assimilate into the community. Matthew Perlstein (Marlboro, NJ) will be entering his sophomore year at the University of Maryland School of Business seeking a B.S. in Operations Management and Business. He is the son of Robert Perlstein, a senior account executive at OUTFRONT Media. His interest in business has been influenced by what he has learned about OOH. Matthew also has been active in his community volunteering with special needs children and their families. Anthony Salamida (Binghamton, NY) is entering his freshman year at the University of Buffalo, studying for a degree in Business Administration with a concentration in marketing. Anthony is the son of Sam Salamida, a general manager/VP at Park Outdoor. 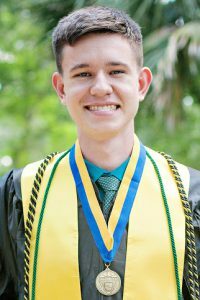 He maintained a 3.7 GPA in high school, where he was a member of a CYO basketball team and active in student government the Business Club. Jason Wheat (Lutz, FL) will be entering his freshman year at Gulf Coast University in Ft. Myers, FL. 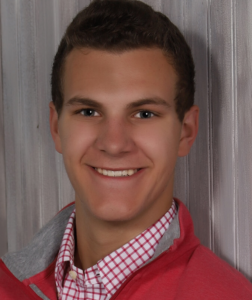 Jason expects to pursue a degree in veterinarian medicine, nursing, or accounting. He is the step-grandson of Lou Musica, the senior vice president of domestic digital for Clear Channel Outdoor in Orlando, FL. Jason has excelled academically in high school while playing junior varsity and varsity basketball. He also has served as the President of Future Business Leaders of America. He was a member of the National Honors Society and has been an active volunteer at his church.